I think that people love holes-in-the-wall because the the name represents a place that isn't worried about glitz and glamour, or location and trends. These restaurants' purpose is to serve good, never compromised, food. Unfortunately, it seems those places are harder to find then they used to be, but they do still exist. For example, El Rancho Grande in Olneyville Square in Providence. They just opened a couple of months ago but they have a well-established relationship with their food. A family run spot, El Rancho Grande refuses to buy cheap ingredients, adorn their walls with art other than from their native Puebla, Mexico, and also refuses to make their amazing food inaccessible because of pricing- everything on the menu is largely portioned and very, very well priced. 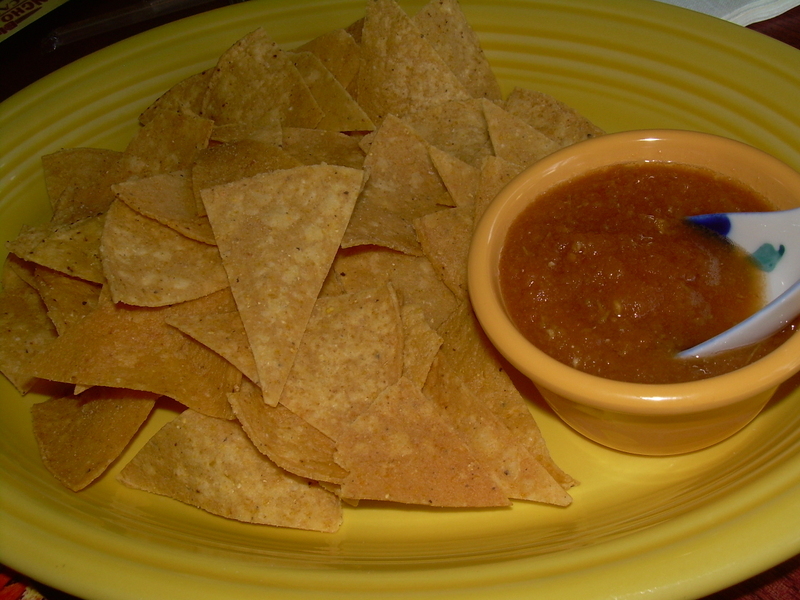 The salsa was yellow and very spicy- unlike any salsa I had before. I meant to ask the chef (the wife of the husband and wife team that run the place) what kind of salsa it was, but didn't get the chance on this visit. I will, definitely, next time. 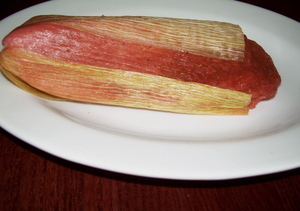 The texture and taste was very unified- like the pulpy mixture of both a hot pepper and a tomato. You can't even see the shredded chicken stuffed corn tortillas under all that mole- and I consider that a triumph of this dish. The mole was fantastic, with a mild upfront sweetness from the chocolate and a great spicy punch in the back of your throat at the end from the chilies. 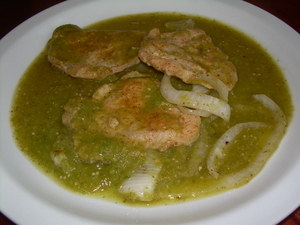 It looks like a tomatillo sauce, but we weren't quite sure what the other ingredients were. 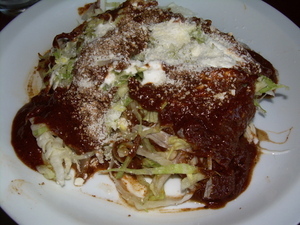 It was very, very spicy and flavorful, but I prefer the complex tastes of the traditional mole. It had a mixture of honey, sugar, and some sort of fruit essence (perhaps plum or strawberry). It was very interesting. Not too sweet, but sticky and it had the same grainy texture of a traditionally prepared tamale. I liked it as something different for a dessert option, but I was so full by the time we ordered it that I could only have a couple bites! Thanks for the review...never heard of this place before, but now I must go! heading there on friday...thanks for the review. I think you have some good ideas and everytime i learn something new i dont think it will ever stop always new info , Thanks for all of your hard work!.